In the these two articles , we are exploring the possibility that the Picts, and other cultures across Europe and perhaps beyond, recognised ‘Boar’ and ‘Stag’ constellations in the night sky. The ‘Hunting Panel’ from the Pictish ‘Shandwick Stone’ , Note the Stag being fired on by the hunter, bottom right, the twin warriors, bottom left, and the wild boar above and to the left of the hunter and stag. There is further evidence for Scorpio being seen originally as a stag outside of the Mediterranean basin, this time surprisingly in the ancient Indian astrological system; the ‘Vedic’ system. In this eastern zodiac, with its twenty-seven lunar zodiac signs or ‘nakshatras’, the constellation Scorpio is divided into three of these ‘lunar mansions’. These are Vishakha, Anuradha, and Jyeshta. Anuradha is symbolized principally by a lotus flower, but has as its ‘animal symbol’ a female deer, the Mgira. Furthermore, Jyeshta with its principal star Antares (the alpha star of Scorpio), has as its animal symbol the stag. Perhaps this also tantalisingly hints at a long lost stag constellation, although this time not in Europe but in India. It may at first seem unlikely that there could be a cultural connection between northern Europe and India, but it is important to remember that the languages of North India, and those of Europe, are thought to have a common linguistic ancestor; proto-Indo-European. It is therefore perfectly possible that there are other ancient cultural connections. ‘Eber, Riese, Himmelskuh zählen wir dem Winter zu. Hase, Wolf und Menschenpaar stellen uns den Frühling dar. In Hahn und Hengst und Ährenfrau die Sommersonne steht genau. ‘Boar, giant, and celestial cow we count to the winter. Hare, wolf and human pair represent the spring. At rooster, stallion and corn-ear-woman is summer solstice. From the above text, which is clearly referring to the night sky, only the human pair (Gemini), the corn-ear-woman (Virgo), and the archer (Sagittarius) are obviously discernible, although the celestial cow may represent Taurus. But noticeably within the sequence we have the appearance of a stag and a wild boar; the stag is associated with the autumn, as Scorpio is, whilst the boar is associated with the winter. In addition, the stag appears in the poem alongside the archer – remembering that Scorpio and Sagittarius are side by side in the Graeco-Roman Zodiac. This perhaps may hint at alternative northern European constellations including a stag and a wild boar; some of these may even be zodiacal. Outside Pictland but within the British Isles there is another possible example of an alternative northern European view of this same area of the night sky, and specifically the area around Ophiuchus. The so-called ‘Parwich Tympanum’ is a pre-Norman, Anglo-Saxon stone carved arch from the Church in the village of Parwich in Derbyshire. This is thought to have been carved in the eleventh century or perhaps much earlier. While there are clearly elements of Christian symbolism within the scene depicted on the stone arch, the mix of animals seems puzzling. Interestingly in the scene there is a deer or stag with a wild boar placed above it. In addition there is a pair of serpents, a rather indeterminate bird that sports talons, what appears to be a horse carrying a cross and is therefore usually interpreted as ‘the lamb of god’, and a beast that has been interpreted as a wolf. Examining the area of the night sky around Scorpio, our candidate Pictish stag constellation, we have the adjacent constellations of Ophiuchus and Libra, which represents our principal candidate for a wild boar constellation. 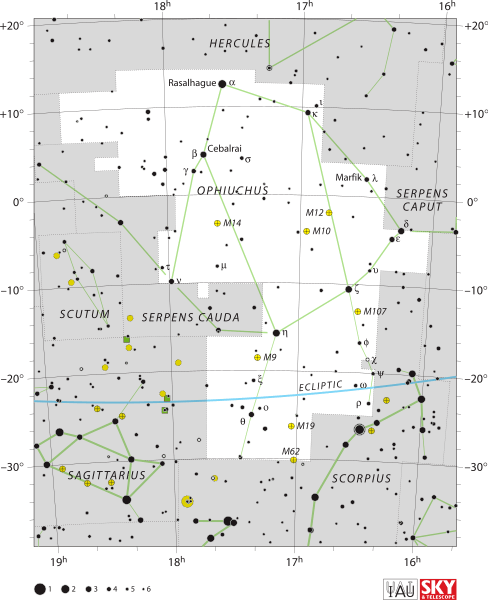 Ophiuchus is of course in Greek mythology the serpent holder, and as mentioned previously, there is the possibility that this constellation may have been visualised by Celts as a stag god, perhaps shape-shifting (identified popularly today as Cernunnos). In the same area of sky, close to Ophiuchus’ serpent, we have Aquila the eagle. Sitting directly below Scorpio is the constellation Lupus. This has been interpreted by different cultures as a wolf or other beast such as a lioness or leopard. Finally to the east of Aquila, the eagle, we have two horses. Firstly the small constellation of Equuleus, the foal, seen by some classical authors as a horse head, and secondly, further east; Pegasus the flying horse. The mix on the Parwich Tympanum would seem to a reasonably good match for the area around Ophiuchus, but once again the match is dependent on accepting the presence of a wild boar and a stag in that region of the sky. Why the ‘lamb of god’ would have been depicted as a horse or foal is unclear, but might be explained if Church authorities had attempted to Christianise pagan constellations. In this case perhaps they may have tried to persuade people to view Equuleus, the foal as the ‘lamb of god’, with the sculptor compromising on this new interpretation by carving a partly traditional version. Further echoes from ancient cultures in Europe and Asia may also have resonance with the Shandwick stone. Many cultures including for example, Hungarian and Persian, have similar stories describing a hunter, sometimes twin hunters, or brothers perpetually chasing after a stag in much the same way as Hercules. This stag is no ordinary stag, but is white and holds the Sun in his antlers (The Legend of the White Stag). This chase story might have arisen as a result of the relationship in the night sky between Gemini and Scorpio. At the autumnal equinox, the Sun is in Scorpio, between the ‘pincers’ or in our theoretical alternative version, the ‘antlers’. As the Sun sets in Scorpio due west, Gemini rises in the east, and is present in the sky until the dawn Therefore the two constellations in effect are on opposite sides of the sky and appear to ‘chase’ each other, with neither ever being able to catch up with the other. 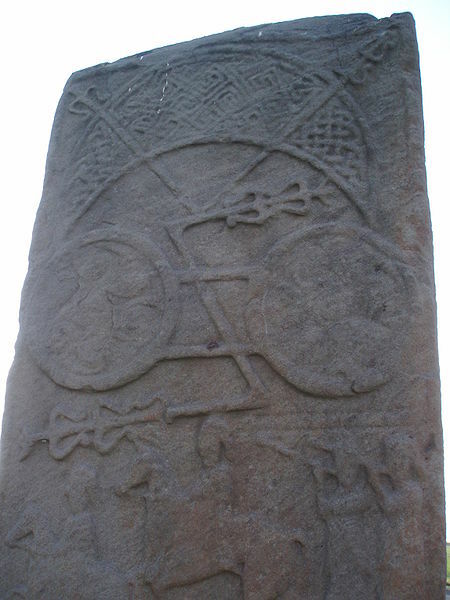 The Shandwick stone, whether intentionally or not shows this exact same relationship, with twin warriors (perhaps representing Gemini?) in the bottom left hand corner and a stag in the bottom right hand corner (being shot at by a hunter with bow). It would therefore seem that there are various strands of evidence coming together from Europe and Asia that collectively suggest that there was once a ‘stag’ constellation, in the vicinity of the classical constellation of Scorpio. This is most likely to correspond to Scorpio itself. What is astonishing is that from several very disparate sources; various European traditions, a Pictish stone, Welsh mythology, Vedic astrology, Greek mythology, a German poem, and an Anglo-Saxon carved arch, we find the same pattern repeating itself. The possibility that the Picts also visualised a Boar and Stag constellations within the vicinity of Ophiuchus would therefore seem to be plausible. If we continue with the proposition that Pictish symbols represent stars or constellations in the night sky (and therefore are part of an astrological system) we could ask: are there long-forgotten Pictish ‘boar’ and ‘stag’ constellations? Could these hypothetical constellations have occupied a portion of the night sky in the neighbourhood of Ophiuchus, Scorpio, and Libra? At first a casual examination of the constellation of Ophiuchus gives us no obvious clues to there being any stag or wild boar connection. This classical constellation is large and represents a celestial human figure normally depicted holding two snakes. The snakes are sometimes classed as the separate constellation of Serpens, and this can be further divided into a right and left portion. Ophiuchus has in the past been associated with Aesculapius, the surgeon on Jason’s ship the Argo. A clue however from one of Europe’s finest archaeological treasures, may provide a link between the stag, the boar, and the constellation Ophiuchus. This Greek mythological figure with his serpents is strangely enough reminiscent of a figure that apparently featured in Celtic religious belief. This god, known as ‘Cernunnos’, whose name according to Miranda Green in her Dictionary of Celtic Myth and Legend means ‘horned or peaked one’, is depicted usually with antlers on his head, and sometimes with the ears of a stag. He often holds a snake or ram-horned snake. He is seated in a lotus or cross-legged pose reminiscent of the gods from the Indian subcontinent. His most famous image is the one that appears on the Gundestrup Cauldron found in Denmark. This cauldron is generally thought to be Celtic (although may have been custom manufactured in Thrace) and probably dates from the first century BC. Cernunnos is shown holding in his left hand a large snake, and in his right a torc. He has a large pair of antlers on his head and is surrounded by beasts, with significantly for us, a stag to his right and an animal that is usually interpreted as a boar to his left. As pointed out by Gregory Coulter in The Lost Zodiac of the Druids, the snake-holding Ophiuchus seems therefore to have some parallels with the various images of Cernunnos, and it would be tempting to speculate on whether the two figures have long forgotten connections or perhaps a common origin. Cernunnos’ identification as a human figure with stag-like physical features, and a strong association with animals, fits well with the concept that in Celtic tradition there are frequently found gods or heroes who can ‘shape-shift’. As Miranda Green states in the context of Cernunnos and his stag association ‘perhaps one of those beings who underwent transmogrification or shape-shifting from human to animal form’. Furthermore, Cernunnos would seem to make a reasonable candidate for the animal interpreter who features in the old Welsh story of Culhwch and Olwen; ‘Gwrhyr’. We should note the close proximity that Ophiuchus has animal constellations that may bear some relationship to the creatures that Gwrhyr conversed with (see book for more details). Indeed, who better to talk to the animals than a Cernunnos/Ophiuchus character? In the The Lost Zodiac of the Druids, Gregory Clouter investigated the complex imagery of the Gundestrup Cauldron, theorising that the figures are cosmological. One of his conclusions was that the figure of Cernunnos is indeed the constellation Ophiuchus in the night sky. He also interprets the animal to the right of Cernunnos as a hound and equates this to the constellation Libra. The evidence presented in my own book however would tend to suggest that Libra is one of the candidates for a wild boar and this is the more common interpretation of the animal figure that appears beside Cernunnos on the cauldron. However imaginatively we view the asterism corresponding to Ophiuchus, and try to match this to Cernunnos, the evidence so far presented is still relatively weak for a positive identification of this constellation as the stag, or wild boar, that feature in the collection of early medieval Welsh stories – The Mabinogion. If the god Cernunnos could be associated with the constellation Ophiuchus, then another possibility is that a Celtic ‘Cernunnos’ constellation might have been formed by combining the constellations Ophiuchus and its smaller close neighbour, Scorpio. In this scenario the much larger constellation would represent the god, but at the same time half of the constellation could also be seen as having some of the attributes of a stag. This might provide an explanation for the god’s shape shifting abilities and also explain the symbolism of Cernunnos on the Gundestrup Cauldron. As Ophiuchus lies to the north of the ecliptic and Scorpio predominately to the south of the ecliptic, this possible split zodiacal sign would be important when considering the paths of the Moon and planets through this region of the sky. The Moon in particular ‘wanders’ considerably from the ecliptic and would therefore sometimes pass through Scorpio (i.e. below the ecliptic), perhaps emphasising a cervine aspect, while at other times pass through Ophiuchus (i.e. above the ecliptic) and therefore emphasising a more human-like aspect. It is also worth noting that Ophiuchus is sometimes considered as a thirteenth zodiacal constellation, but is the only one which is not recognised as an astrological sign. Indeed, the Sun spends a longer time traversing Ophiuchus than it does neighbouring Scorpio. Turning now to Scorpio, how likely are we to find associations with stags or deer? Scorpio, according to classical legend, is the creature that slew the giant Orion, but was itself in fear of the arrow of Sagittarius. Using an arrow to kill a scorpion would seem to be a little strange, but might just hint at the possibility that Sagittarius may not have always been aiming at a diminutive scorpion. Perhaps the constellation once represented a larger creature, one more suitable for a hunter. The month of October, traditionally the month associated in the classical world with Scorpio, is known in Scots Gaelic as Damhair, derived from the word damh meaning ‘stag’. 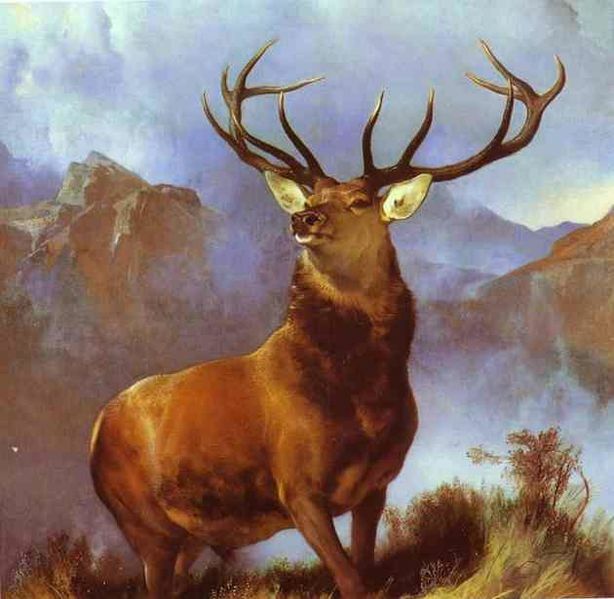 Generally, it is thought that the name relates to the stag-rut that occurs in the Highlands in the autumn, but it is not beyond the realms of possibility that the name is in some way connected with an alternative cervine Scorpio. Even if there is not a connection between Damhair and an ancient European view of the constellation Scorpio, the Gaelic name for the month provides some potential reasons as to why northern Europeans may have seen Scorpio as a stag. The October stag rut is of course the time when the animal is at his most potent and magnificent. This in itself could have inspired the notion of a stag constellation exulted by the Sun in autumn. If there is evidence that the Picts included a stag within their own zodiac, it would be tempting to suggest that the Gaelic month of Damhair in some way reflects this. It is worth noting that in the closely related Irish language the name for October is different. For now there is simply not enough evidence to connect the Gaelic name for October with an ancient version of the constellation Scorpio, which would also necessitate evidence of continuity from the Picts to the later Gaelic speaking population of the Highlands. It is also the case that rare white stags are seen as a symbol of good luck in Scotland and are viewed as ‘otherworldly’, hence it is considered almost taboo to hunt them. Could the white stag be linked to the concept of a celestial deer constellation? According to the Oxford Dictionary of Mythology, a stag enticed people into the ‘otherworld’; an idea that was later Christianised with the animal being thought of as guiding souls to heaven. Perhaps this also suggests that the stag was seen in a celestial or cosmological role, acting as an intermediary between earth and heaven. Another important reason why northern Europeans may not have recognised Scorpio as a Scorpion is that the stars of Scorpio, even at their zenith, do not rise much above the northern horizon. Indeed, the Scorpion’s tale and sting are simply not visible at northern latitudes. This second point would have a natural effect on the overall impression the asterism would have on the eye. It seems reasonable therefore that northern Europeans may have viewed this particular constellation as something else, with the possibility of a stag substituting for the scorpion. Turning to a map of the night sky, it is worthwhile considering the shape of the northern, visible portion, of the constellation Scorpio. This portion, and indeed the whole of the constellation, is dominated by the red giant; Antares. This is viewed traditionally as the scorpion’s heart. Above this is a small group of bright stars that define the scorpion’s head. Extending further northwards from these are the scorpion’s ‘claws’. If northern Europeans really envisaged Scorpio as a stag, then does such an interpretation make sense in terms of the shape of the constellation? Assuming that the stag was seen as upright, as these figures usually are, then the obvious first characteristic to look for is the stag’s antlers. It is not at all difficult to imagine the pincers of the scorpion being viewed by northern Europeans as the antlers of the more familiar stag. The head of the scorpion would also fit well with the shape of the stag’s head. The red star Antares may therefore have been viewed not as the scorpion’s heart, but rather as that of a stag. We should also not forget Hercules’ third task, that of the Ceryneian hind, and the strong Greek association of the hind or stag with the constellation Scorpio. Is this further evidence that this constellation may have been viewed by at least some Europeans as a ‘stag’ or at least a stag constellation existed in this area of the sky. In the first post on rodded Pictish symbols we concentrated on the Z-rods, today we’ll look at the equally complex v-rods. The v-rods are associated primarily with the crescent symbol (see example below), although there is one example of a v-rodded ‘arch’. Unfortunately the rodded arch symbol is badly worn, and cannot be analysed with any great confidence. The rodded version of the crescent is extremely numerous in comparison and there are many well executed examples, with those with rods outnumbering those without by about ten to one. It is the most common symbol found in the symbol pairs. The ‘arrow-like’ v-rods, in contrast to the spear-like z-rods, only appear in two main forms; arrows with a left hand direction and arrows with a right hand direction. The right hand form is approximately five times more numerous than those pointing leftwards. In addition there are a handful of v-rods with indeterminate direction. There is no obvious rotational aspect to the v-rods, no clockwise or anticlockwise forms as we found with the z-rods. This difference could be simply put down to the practicalities of design; in the case of the double disc there is symmetry in two planes, in the case of the crescent (and arch) just one. It may have been aesthetically unpleasing to the Picts to utilise a z-rod with a crescent as it would be divided by the rod in an asymmetric manner. However it could also be argued that a z-rodded ‘notched rectangle’ or the rodded ‘snake’ are not perfectly divided symmetrically by z-rods either, although the result is considerably more pleasing to the eye than an attempt to use a z-rod with a crescent symbol. Indeed the z-rods utilised in the case of the snakes and notched rectangle are usually orientated with the ‘spear’ tip pointing upwards or downwards rather than left or right as is the case with the double disc’s z-rods. This would suggest that some importance was placed on the aesthetic impact of the symbol. If the symbolism of z-rods has some possible connection to the fiery spear of Lleu or Lugh, the Celtic Sun god, we might ask is there a possible parallel to a Celtic lunar god or goddess that could help explain the particular form of the v-rod? In Welsh mythology, Lleu has a brother known as Dylan. Both brothers are the sons of Arianrod, a goddess sometimes associated with the Moon; her name probably translating as ‘silver circle’. Dylan, referred to as ‘the son of the waves’, however is very much associated with the sea, diving into the sea at his birth, perhaps indicating that he was god of the sea or perhaps the tide; a phenomenon very much governed by the Moon. His ability to swim like a sea creature or fish could potentially be linked to the ‘fish tail’ motif of the v-rods, but this is purely speculative. The two brothers, Lleu and Dylan are sometimes seen as opposites, a recurring theme in Celtic mythology, with Lleu representing light and Dylan darkness. Both the z-rods and the v-rods exist in essentially two forms. In the case of the z-rods, there are clockwise and anticlockwise forms, with the spear tips pointing upwards or to the right, with the ‘clockwise’ form predominating. In the case of the v-rods, there are left hand and right hand forms, with the arrow heads pointing upward and to the right predominating. It could therefore be the case that the rods are conveying information essentially in two ‘states’. There are of course many possibilities as to what these two ‘states’ might be. One possibility, in the context of the hypothesis that the symbols are of astrological significance, is that they are indicating an auspicious or inauspicious event. For example, an event predicted by a planet entering a particular constellation or leaving a constellation, or perhaps whether or not a specific planet is in conjunction or opposition with a particular star. Another possibility is that the two ‘states’, in the case of the z-rod, are indicating something about retrograde motion of a particular body (see part 1 of this post below). If this were the case then we would also have to account for the v-rods rather different form. The ‘v’ shape may relate to the sinusoidal path that the Moon takes through the night sky. The northern part of this path is referred to in astrology as the ‘north node’ and the southern extreme being referred to as the ‘south node’. In Vedic astrology these two ‘nodes’ are treated as two ‘shadow’ planets (Ketu and Rahu), which are regarded as of the same importance as the more conventional planets. A clue to the function of both the z-rods and v- rods, may also lie in the form their decoration takes, and in particular variation in the tail of the rod. It is interesting that there seem to be a small number of set forms for the rod’s tails. For example, by far the most frequent tail motif for the v-rod associated with the crescent, is the ‘fish tail’, which by contrast is found in only one clear cut example of a z-rod from a double disc. If the tails were simply related to a particular Pictish ‘school’ of sculptors and their trademark designs, then we would not expect to find two different tail designs within the same rodded symbol pair, but we find that they are often mixed. In the context of an astrological explanation to the symbols; could the tails and other features of the rod be indicative of a particular planet, or be associated with a particular deity? Are they the Pictish equivalent of the western astrological symbols for the planets? Perhaps, they could be related to the astrological ‘elements’ of ‘earth’, ‘water’, ‘fire’, and ‘air’? If we re-examine the ‘rodded’ symbols, there may be hints of this sort of symbolism. The double disc with its solar and fiery components might represent ‘fire’, the crescent Moon is a symbol for the element ‘air’, the snake has a strongly chthonic aspect and therefore ‘earth’ and if we consider the concept of a fifth ‘element’ that is sometimes described as the ‘sky’, then the arch might well also fit with this. Unfortunately the symbolism of the notched rectangle does not seem to fit with this hypothesis, and it is difficult to see how it might represent the remaining ‘element’ of ‘water’. Certainly, it is however possible that there would seem to be a whole other level of complexity in meaning, demonstrated by the decoration found on the rods. Pictish Symbols: Z-Rods and V-Rods – of Celestial / Astronomical Importance? The Z-Rods and V-Rods: Part 1. 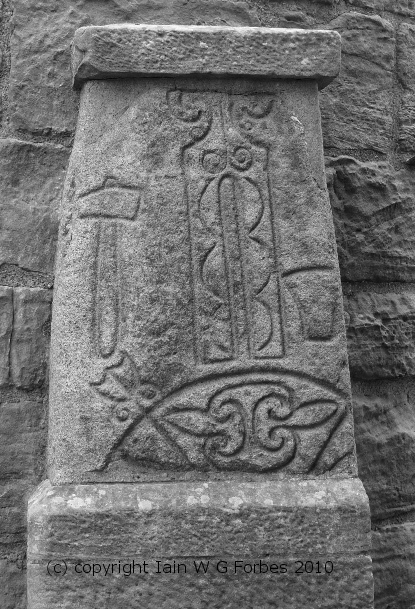 Perhaps the most puzzling aspect of Pictish symbols are that they are often accompanied by the so-called z-rods or v-rods. This apparent embellishment lends another layer of complexity in attempts to understand the meaning being conveyed by the symbols. These have been seen in the past as being reminiscent of forks of lightning, or perhaps as broken arrows or spears. It has been suggested that these therefore might be symbols representing the death of a warrior. 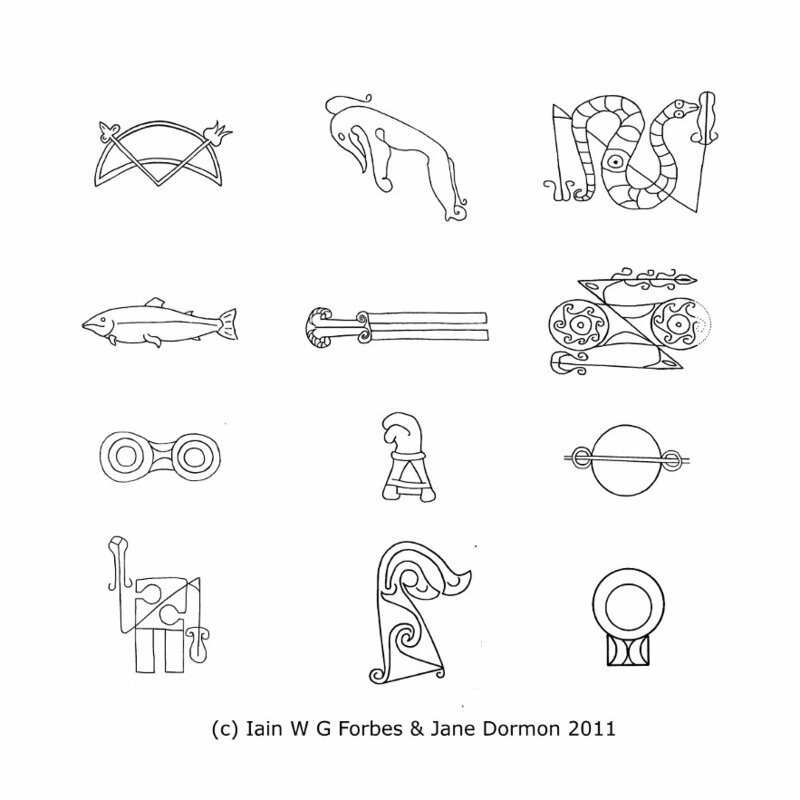 However, if we are starting to try to view Pictish symbols in terms of astronomical, calendrical, or astrological events, could the z-rod’s form and function also be explained in these terms? There is variation in the form that the rods take, but these fall within a quite narrow range of possibilities. For example, the rods are usually not entirely symmetrical, but typically have a ‘tipped’ end and a ‘trailing’ end. Sometimes the tip of the rod takes on a spear or arrow-head appearance, or sometimes the tip appears to be more organic in form, perhaps reminiscent of parts of a plant. The trailing edge of the rods often appear to be plant like, or end in a bulb like structure, or can appear to be resemble a fish tail or perhaps even arrow flights. Simple embellishments often decorate the shafts of the rods, and these again have an organic quality to them, perhaps even reminiscent of tongues of fire. The z-rods, when they appear with the double disc, tend to start below the left hand disc, run parallel with the axis of the symbol, cross backwards over the axis, and then continue above the right hand disc, again in parallel with the axis, therefore taking a form similar to a letter ‘z’ when seen in a mirror (see figure below, 2nd row from top right hand side). However, in a handful of cases, the rods appear to be in the opposite orientation therefore actually resembling a ‘z’. This phenomenon occurs with other symbols and we will explore its significance later. The z-rods found bisecting the double discs tend to show relatively small terminal decorations in relation to their length. This is in contrast to the other type of rods found associated with Pictish symbols; the ‘v-rods’. (See crescent and V-rod illustration above, top left). Typically v-rods, which usually are found only with the crescent Moon symbol (there is one example of a ‘v’ rod with an arch), have terminals that are relatively large and have shorter rods. With this difference between the two types of rod in mind, it is probably worth considering the possibility that the v-rod may represent an arrow, and in the context of the night sky, perhaps we should view this not as any common arrow but rather a ‘celestial’ arrow, with further information embedded in the image to convey additional information. Similarly, the z-rod of the double disc symbol may represent not an arrow, but a spear with its longer rod and smaller terminals, and if they too are associated with possible astrological symbolism then again we may want to consider the possibility that these spears have a celestial or supernatural aspect. There are however problems with the identification of the z-rod with a spear, not least the ‘z’ shape of the rod, but also the fact that a spear usually has only one obvious ‘terminal’; the spearhead. However in the National Museum of Scotland, in Edinburgh, there are spears from the Pictish period that have a metal addition to the ‘trailing’ edge. This addition was well described by the Roman writer, Dio Cassius (prior to AD 229) who made the following observations on the tribes in northern Scotland, ‘For arms they have a shield and a short spear, with a bronze apple attached to the end of the spear-shaft, so that when it is shaken it may clash and terrify the enemy.’ This type of spear is also depicted on a Pictish stone from Collessie in Fife. The so-called ‘Collessie man’ is a naked warrior carrying a spear, at the trailing end of the spear can clearly be seen the sort of ‘apple’ described by Dio Cassius. The apple may have other functions other than generating an intimidatory din. One suggestion, in the book Celtic Warriors (Tim Newark , Blandford Press, 1986), is that the apple was to aid the balance of the spear in flight. Is it also possible that this type of spear was suitable for use with a sling, therefore increasing its penetrative ability and range. Could the trailing terminal shown on many of the z-rods actually represent these apples? If the tip of the rod represented a spearhead, then we would also have to come up with an explanation for the almost organic feel to the shape. However, it turns out that there were a myriad of designs for both arrow and spear heads. These variations may have reflected cultural differences or differences in the favoured material, or perhaps more importantly they may have reflected differences in the use each type of spear or arrow head was put. Spearheads may have been designed to penetrate different types of protective clothing, or armour, to be easily removed, or to be difficult to remove, and a host of other reasons. Spearheads that have been found in the British Isles, could be from spears but also from javelins, thrusting spears, lances or pikes. Two main types of spearhead seem to be common in Britain and Ireland in the first millennium AD. The first type is the ‘shouldered’ spearhead, which was apparently typically Germanic, although it seems to have also been quite common in Ireland. The most common type in Britain was the ‘leaf-shaped’ spear head. Could the leaf shaped spearhead explain the almost organic feel to the leading edge of so many rods? The ‘Collessie man’s’ spear sports a small leaf shaped spearhead, very reminiscent of the rod. In the book I suggest for a variety of reasons, why the double disc symbol might represent the constellation Leo, the Sun’s ‘house’ or at least part of that constellation (probably the alpha star Regulus). In the time period we’re interested in, the first millennium, the Irish festival of Lughnasa, named after Lugh, a god of light or the Sun and the Irish equivalent of the Welsh ‘Lleu’, occurred when the Sun rose with Leo’s alpha star, Regulus, with both star and constellation having very strong associations with the Sun. In the context of this Celtic god, the appearance of the z-rodded spear associated with some of the double discs throws up a fascinating possibility. If we further examine the mythology surrounding this god of light, and in particular the Irish version, Lugh, we find that the object most closely associated with this character is in fact a spear. His is no ordinary spear. This weapon almost has a life of its own, seeking out its intended target, rather like a modern homing missile; even Lugh has trouble calming its blood thirsty tendencies. The weapon comes to the fore when Lugh slays the monstrous Fomorian king, Balor, by throwing the spear at his single malevolent eye. This spear has another aspect; it is alive with flame, as would befit a weapon associated with the Sun god. To keep the spear from doing harm when it is not being used, Lugh keeps the weapon in a bucket of water, only removing it when he intends to use it. Such a fiery spear should remind us of a Sun beam or the Sun’s rays, and we should therefore see the spear in itself as a solar motif. Does the z-rod also encompass this idea? Is the z-rod , and in the context of the Pictish symbols, perhaps enhancing the meaning of the individual symbols it is associated with? But what of the fire aspect of Lugh’s weapon? If the z-rod is to be viewed as a solar symbol then is it possible that it is in some way related to Lugh’s spear or at least a Pictish equivalent? In order to answer this, we need to turn to the many of the depictions of the rod. Emanating from the shaft of many of the rods are small curly decorations or florials. Is it possible that these decorations actually represent flames, perhaps mirroring the Irish mythological notion of Lugh’s fiery ‘Sun’ spear? It is certainly a tantalising possibility and would fit with solar symbolism. If some of the symbolism hints at parallels between the Pictish rods and the Irish Sun god’s weapon, this still doesn’t explain the reason why the rod is bent into a ‘z’ shape nor does it tell us if the rod is conveying some further information. Let us for a moment consider the relationship between the double disc and the z- rod. In the majority of cases the apple-shaped termination of our potential spear is found below and to the left of the double disc, we can then follow the shaft as it travels from left to right until it doubles back, crossing the axis between the two solar discs, before once again continuing on its original left to right path. It therefore describes a ‘backward’ ‘z’. The left to right orientation of these rods fits well with the notion of solar symbolism, in that the Sun’s daily path from east to west is in effect (to an observer) a movement from left to right. This however does not explain why the rod crosses diagonally backwards across the axis of the double disc. However, as well as a suggestion of the Sun’s daily course from east to west, the z-rod could also be explained in terms of the path of other bodies in the solar system. If we turn back to the ancient science of astronomy, one of the first phenomena that the earliest astronomers must have noticed concerned the behaviour of a small collection of celestial bodies that followed the Sun’s path through the sky. To early observers, these bodies generally stayed close to the ecliptic, but had the curious habit of occasionally coming to a halt and wandering away from their original path. This behaviour, which was in contrast to the ‘fixed’ stars, partly gave rise to their Greek name ‘planetese’ and originally meant wanderer. This word of course gave rise to our own word ‘planet’. This peculiar ‘wandering’ behaviour is technically called retrograde motion, and is a function of our observing planets orbiting the Sun from a planet (Earth) that is also moving around the Sun. This combination of the two orbits gives us the illusion every now and again that the planets slow in their path in the night sky, appear to standstill, and then for short time move backwards, before once again returning to their original direction. This retrograde motion, which is most obvious in the motion of Mercury, Venus, and Mars, when traced out appears to take the form of either a loop or can actually approximate to a ‘z’ shape or to a mirrored ‘z’. It is therefore possible that the z- rod as well as conveying solar imagery linked to the mythology of a Sun god, conveys the notion of the ecliptic or even relates to information on the motion of a particular celestial body. The two mirror image versions of the z-rod, could therefore be attributed simply to artistic variation but also might relate to the artist depicting two different circumstances. So for example, the ‘z’ version of the z-rod and its mirrored counterpart may simply reflect two possible forms of retrograde motion, which can trace out z shape or a mirrored version of this. The planets Jupiter and Saturn also display apparent retrograde motion, with considerable backwards movement, but with little vertical motion away from their path. This apparent backwards motion of all the planets is not a rare occurrence, nor viewed as unimportant, but is used sometimes in both western and eastern astrological predictions, where it is regarded as having a profound influence. The two visible giant outer planets spend about a third of their time in apparent retrograde, Mars about twenty percent of its time, Mercury about ten percent and Venus about seven percent. The Picts would have certainly known, if they were observing the nightly motion of the planets, about the existence of this phenomenon. In the case of the ‘notched rectangle’ z-rods (see image above, bootom row, left hand side), seven show the rod traversing the symbol from the bottom left hand corner to the top right hand side of the symbols, in other words it diagonally ‘ascends” from left to right (forming a mirrored ‘N’). In the other two other rodded examples, the rods are drawn in the opposite orientation, in effect a mirror image of the other seven, with the rod traversing the symbol from the top left to the bottom right (a descending rod). Rotating the symbol through ninety degrees reveals that these z-rods take the same two forms as the those found with the double disc – the mirrored ‘N’ is simply a ‘z’ rotated, and likewise the more common mirrored ‘N’ is a mirrored ‘z’ rotated. If we also take cognisance of the leading tip of these rods, and the direction they point, the mirrored ‘z’ or ‘N’ rods of the double disc and notched rectangle may actually be indicating rotational direction, rather like a Catherine wheel. The vast majority of the mirrored z- rods of the double discs point to the right indicating perhaps clockwise rotation, likewise the mirrored ‘N’ of the notched rectangles points perhaps also indicating clockwise movement. Even if the tip of the rod pointed to the left it would still indicate a clockwise direction. The less common rodded double discs have rods that describe a true ‘z’ shape. These rods tend to have their tip on the lower arm of the ‘z’, pointing to the right, suggesting anti-clockwise movement, likewise the two ‘N’ shaped rods of the notched rectangle. with its rod presenting as an ‘N’ (anticlockwise), its left hand circle is below the rod and the right hand circle above the rod – in other words the circles could support the notion that the Arndilly rectangular notched symbol is a deliberate mirror image. This would also parallel the situation with the double discs, where there also appear to be mirrored symbols. The mirroring of not only the rod but key internal features would seem to suggest that the mirroring may well be deliberate and constitute a further level of complexity in terms of the symbols message. This would also apply to the rodded double disc. Within the main group of snake symbols (above image, top row, right hand side), whether rodded or non-rodded, there appear also to be left facing and right facing forms. Within these two groups the rods themselves, as in the case of the other z-rodded symbols, can be ‘clockwise’ or ‘anti-clockwise’. The largest group is the left hand facing snake, with the majority of examples of these being rodded clockwise. The left handed snakes also make up the majority of non-rodded examples. Meigle 1 and the St Vigeans 2 stones show examples of left hand anti-clockwise rodded snakes. 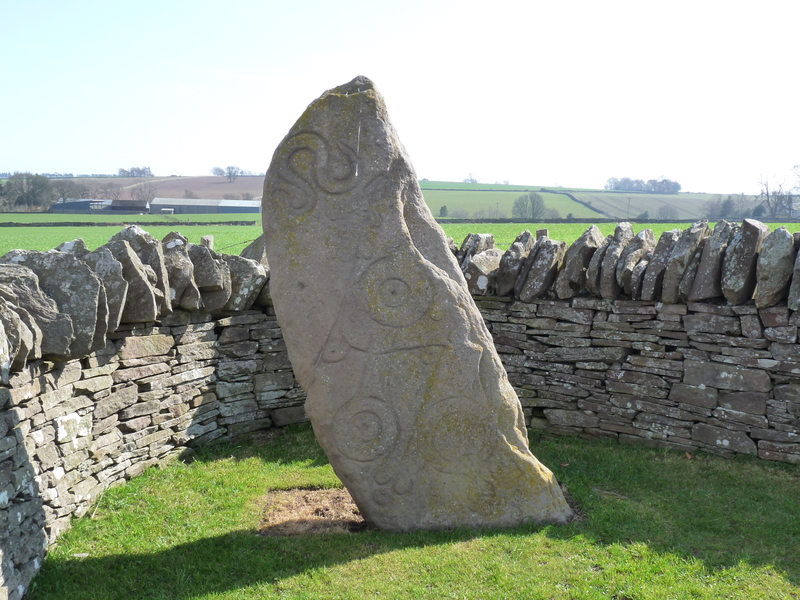 The Aberlemno 1 stone has an example of a non-rodded right handed snake, whilst the right facing snake on the Newton House stone has an anti-clockwise rod. It is possible that these variations in handedness and rod orientation convey some particular information; vital to the interpretation of the pairing. Within the context of religion and in particular eastern religion (notably Vedic), motion to the right or clockwise motion is seen as auspicious and male, representing the daily motion of the Sun, stars and planets. Left handed or anti-clockwise motion is seen as inauspicious and female. It could therefore be the case that the two forms of the z-rods are communicating information as to whether the timing of the event commemorated by the stone is auspicious or inauspicious. Interestingly, the number of clockwise rods far outnumbers the anti-clockwise rods. It is even possible that the clockwise form is linked to males in some way and the anti-clockwise to females. Does the Pictish Beast Symbol represent the astrology sign of Capricorn? This symbol, which appears on stones more than fifty times, resembles no known animal and therefore most likely represents some sort of mythological creature. The symbols are surprisingly uniform across Pictland, exhibiting the same or a very similar set of features. There are a number of these features that stand out. Firstly, the legs do not end in well defined feet or paws, there is no evidence of claws, but rather they end in swirling patterns; clearly this is no ordinary animal. Indeed, the swirling patterns terminating the feet, might suggest that this animal is nebulous in nature, perhaps blown along cloud-like by the wind. The second feature that stands out is the ‘horn’ or ‘crest’ that in most of the examples typically curls back from the top of the head. This bears no obvious resemblance to any trait of any native animal. It could represent a single horn, or perhaps a mane-like structure. However there are some examples of Pictish beasts where this feature clearly arises not from the top of the head but from the side, in approximately the same place as one might expect horns to appear on other animals, suggesting that this is more likely to be a horn-like structure, although highly stylised. Thirdly, the shape of the head and snout are quite distinctive and has given rise to the description of the symbol as an ‘elephant’ although, unlike an elephant, the snout clearly has a mouth incorporated within it. It has been suggested that the Pictish beast is some sort of aquatic creature, and primarily because of the shape of the snout, a dolphin, or dolphin-like beast. As we have seen before, a dolphin constellation is actually present in the night sky (Delphinus). However, only the head would seem to bear even a passing resemblance to that of a dolphin. Another fascinating explanation is that this obviously mythological animal represents an aquatic spirit. This idea is based on the possibility that legends have percolated down from the Picts to modern Scotland as tales of water spirits, or kelpies, perhaps even giving rise to the legend of the Loch Ness monster. Perhaps the most intriguing connection however requires an examination of the symbolism of one of the classical signs of the zodiac; Capricorn. In the book I discuss the possibility that the ‘beast’ symbol on the obviously Christian Shandwick stone could well be associated with the winter solstice, and therefore Christmas in a Christian context. This possibility arises from a carved scene immediately below the ‘Beast’ which may constitute a celestial calendar. In this context, the likeliest candidate for the ‘Beast’ is the constellation of Capricorn. However the imagery of the classical representations of this zodiacal sign does not match particularly well with the beast symbol. 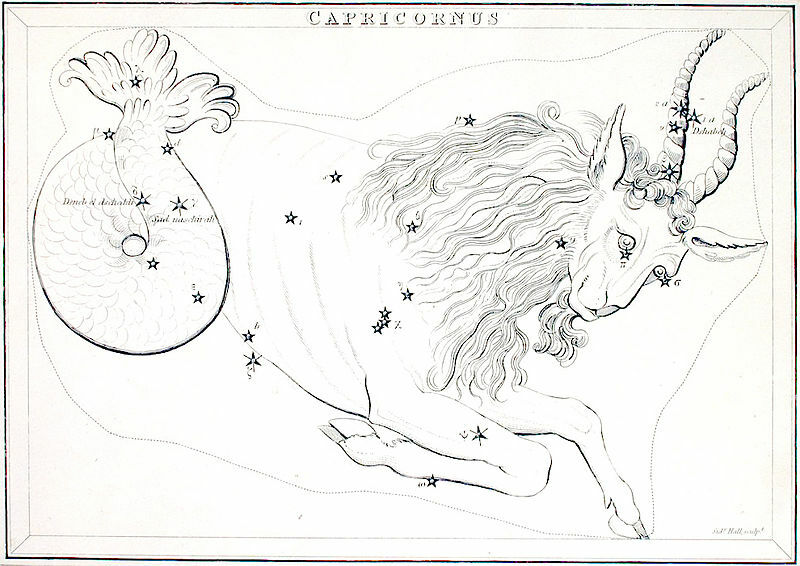 It is now pertinent to revisit the notion that the beast might represent the constellation of Capricorn. That Capricorn is represented by a goat, is a modern invention. This sign of the zodiac is actually a ‘sea-goat’, classically portrayed by the Greeks, Romans, Assyrians, and Egyptians, as having the head and front legs of a goat, and the tail of a fish. The constellation of Capricorn occupies that portion of the night sky associated with water and therefore has an aquatic aspect to it. While a sea-goat would seem a long way conceptually from the beast, there is a fascinating connection. The Indian zodiac also has its own version of Capricorn, which shares little in common with the goat-fish, but bears more than a passing resemblance to the ‘beast’. This creature is the fearsome ‘Makara’, which like the western Capricorn is aquatic, but is considerably more sinister. 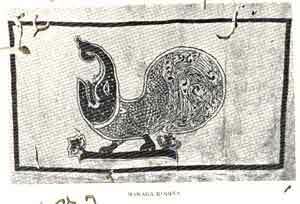 Depictions vary considerably, but at its most simplistic it is shown with the head of an elephant and the body of a crocodile, sometimes with the tail of a peacock. A number of older carvings show the head as rounded like an elephant, but with a long snout, which like the Pictish ‘beast’ incorporates a mouth. In the case of the ‘Makara’ the mouth is armed with sharp teeth. The creature’s legs vary considerably and can resemble those of a lion, a crocodile, or an elephant. In some cases the body ends in a flourish of ethereal swirls, which like the nebulous terminations on the ‘beast’ may emphasise that this is a supernatural creature. 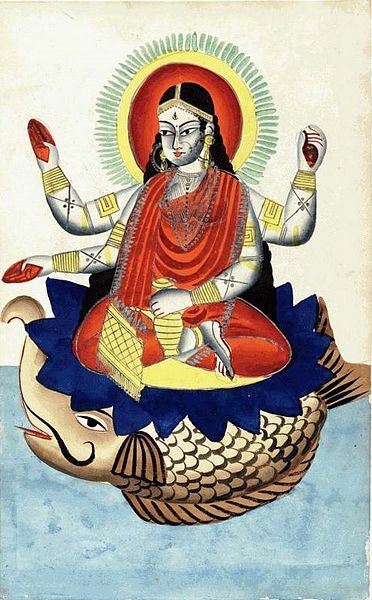 In mythology, the Makara seems to have both an aquatic and sky aspect, being associated with rivers and pools (in a similar way to the kelpie), but was also ridden through the air by Varuna who is both a sky god and a god of the ocean. Although there are obvious differences between this Indian creature and the Pictish symbol, there are a number of features that the Makara, and the ‘beast’ seem to share, perhaps most obviously the long snout and rounded head. In some of the images and sculptures of the Makara, the upper portion of the snout (despite the incorporation of the mouth) is reminiscent of the elephant’s trunk with its bands of muscular tissue that allow the animal it to articulate the structure. However, in common with depictions of the Pictish beast, the length of the Makara’s snout varies and can be quite a bit shorter than one would expect to see on an elephant, and the tip seems also to end in a tight curl. 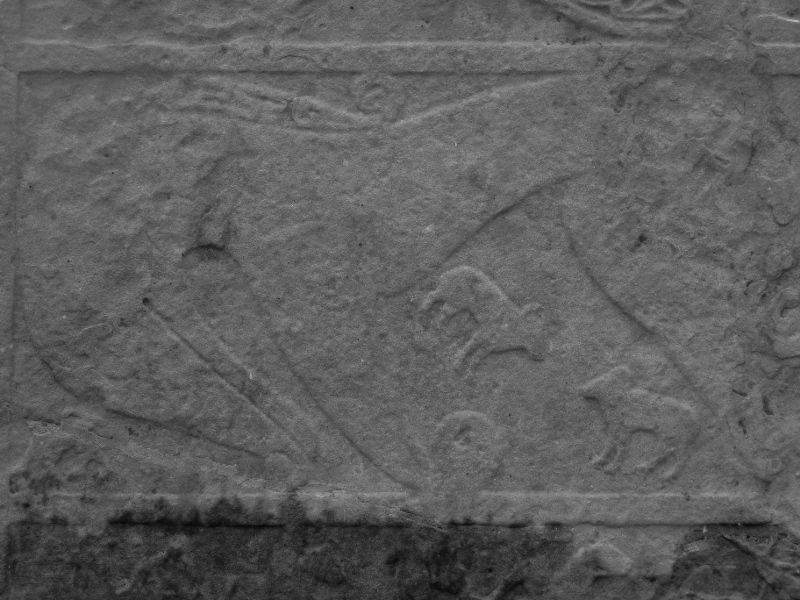 Examination of the beast found on the Shandwick stone reveals that the upper portion of the snout also ends in a tight curl. Clearly, the ‘beast’ does not have any defined feet, whereas most examples of the Makara do indeed have feet, although these vary considerably; some Makara have four and some two, ending with a swirling tail. The two dimensional Pictish ‘beast’ appears to be four legged with a rather simple tail, although both legs and feet end in a swirling pattern suggesting it is of supernatural origin. Some Makara also exhibit a small beard-like feature below the lower jaw, reminiscent of the goat-like western Capricorn, and in addition has a crest on its head, reminding us of both the beast’s crest and the horns of Capricorn (that typically sweep backwards in the same manner as the Pictish beast’s crest). A further connection can be made between the beast and the Makara, if we consider the possibility that the beast could well be representing on the Shandwick stone, not only the constellation of Capricorn but the winter solstice and by default the Nativity. In India, the winter solstice festival is referred to as ‘Makar Sankranti’ and marks the day the Sun enters the sign of Capricorn. It is seen as highly significant, symbolising the dawn of a new day for the gods (a year was said equivalent to a day and a night to the gods in Hindu tradition). This to the Hindus also marks the point in time where the Sun begins it journey northwards again and the turning point in the year. Today it is celebrated, not at the solstice, but on or around the 15 January. In AD 700 we find that, due to precession, the Sun would have already traversed much of Capricorn by this date. In effect, Makar Sankranti would be expected to have started on the 25 December; Christmas Day. If the Makara and the Pictish beast both represent Capricorn, then this would seem to reinforce the theory that the Shandwick stone is proclaiming the Nativity, using a long forgotten symbol for mid-winter; the constellation Capricorn. The month prior to this event in India is seen as very inauspicious, by contrast Makar Sankranti is seen as highly auspicious; perhaps too the Picts regarded the 25 December in the same way, a state of mind that would be very useful to the church as it gradually imposed Christianity on the population. What better symbolism for the Nativity than a proclamation of the dawn of a highly auspicious period of time? If the ‘beast’ really does equate to the Makara of India, then the mythology of the Makara, a monster that drags people or even other mythical creatures into his watery lair, might find parallels in tales that have survived in Scotland from Pictish times. As previously mentioned, the most obvious tales are those of the kelpies, or water horses, that are associated with specific Scottish lochs. Like the Makara in legend, they too lie in wait, ambushing their victims and dragging them into the depths. It is perhaps also pertinent to mention that a common translation of the word Makara is ‘water horse’. Viewing the kelpie as a Makara-like mythological figure also helps to explain one of Scotland’s most famous tourist attractions; Nessie. This legendary monster is not, contrary to many peoples belief a modern invention, but has a well attested mythology going back to the age of the Picts. St Columba, who is credited with bringing Christianity to the northern Picts, was travelling through Pictland in AD 565. On reaching Loch Ness he saved a man from a water monster, banishing the creature with his staff. The Loch has been inextricably linked with a monster, or as some locals prefer, a kelpie, ever since. Perhaps, in a mirror to Hindu tales of the Makara, the Picts originally had a myth or legend linking such a monster to the Loch, a monster that was stopped in the process of drowning a person by divine intervention. Maybe this intervention originally took the form of a Pictish god interceding directly as Vishnu is credited with doing in Indian Makara mythology, but this myth was later ‘appropriated’ by Columba’s biographer Adamnan as a miracle by the Christian missionary in order to boost his status. A story relating to the banishment of a monster in the process of drowning a righteous man, is transformed into a story where the monster is banished by the power of Christ through his servant St Columba. There is one more piece of visual evidence that to say the least is startling and is not easy to explain unless the Pictish beast symbol is indeed the Makara. If we return to the fine example of the beast on the Shandwick stone and take another look at the head and snout, as we have previously noted, that there appears to be some resemblance to the Makara. There is the rounded elephant-like head, the crest, the long snout and the end of the upper jaw appearing to end in small swirl reminiscent of some of the older Makara carvings. However we must remember that the Shandwick stone has been badly weathered in the past after many years of exposure to the salt air of the North Sea. The question is then; are there any features that were apparent in the past that have faded with time that back up the growing evidence that the Pictish beast and the Hindu Makara are one and the same? There are early drawings and photographs from the late nineteenth and early twentieth century of the Shandwick beast that appear to show more detail than is apparent today. These clearly show that the beast’s snout bears all the same hallmarks of the Makara’s trunk, with the classic muscular banded features of a typical elephant’s trunk. Traces of this banding can just be made out in the picture above. Amazingly this was an integral feature of the ‘beast’ symbol displayed on a stone in northern Scotland and created in the so-called ‘Dark Ages’. The trunk of the Pictish beast does not just vaguely or accidently incorporate some trunk-like features, but it would appear that an elephantine resemblance may have been deliberately sought, in much the same way as in the depictions of the Makara. Both the Hindu and Pictish sculptors however are also obviously aware at the same time that this is not an elephant, and appear to have a very clear, similar and well defined creature in mind. We can therefore say with increased authority, that both the Pictish symbol and the Indian version of Capricorn both display the same bizarre and almost identical snout-like feature, which is modified in both cases by shortening, curled tightly at the end and incorporating a mouth. How this incredible similarity could possibly come about, creates more questions than it answers, questions that probe the very relationship in space and time between the Celts of north western Europe and the Hindus of India. Whilst the Makara represents the whole of Capricorn in Indian solar astrology, the equivalent nakshatra in Vedic Lunar astrology is represented by the front portion of the constellation; the ‘elephant’s trunk’. We therefore have the possibility that the beast could either be equivalent to the entire constellation or solar zodiacal sign of Capricorn or a Pictish version of the much smaller lunar nakshatra; Uttarashadha. The ‘mirror’ and ‘comb’ symbols do not seem to be mainstream symbols but appear to be supplementary to the other symbols. They are usually smaller than the principal symbols, and appear typically below the main pairing. The mirror can appear on its own or with the comb, but there is no clear example of the comb appearing by itself, suggesting some form of logical coding or stratification. It may be that these two symbols were intended to convey additional information to the viewer about the combination of the mainstream symbol pairs; they therefore may act as ‘qualifiers’, providing further clarity to the message. 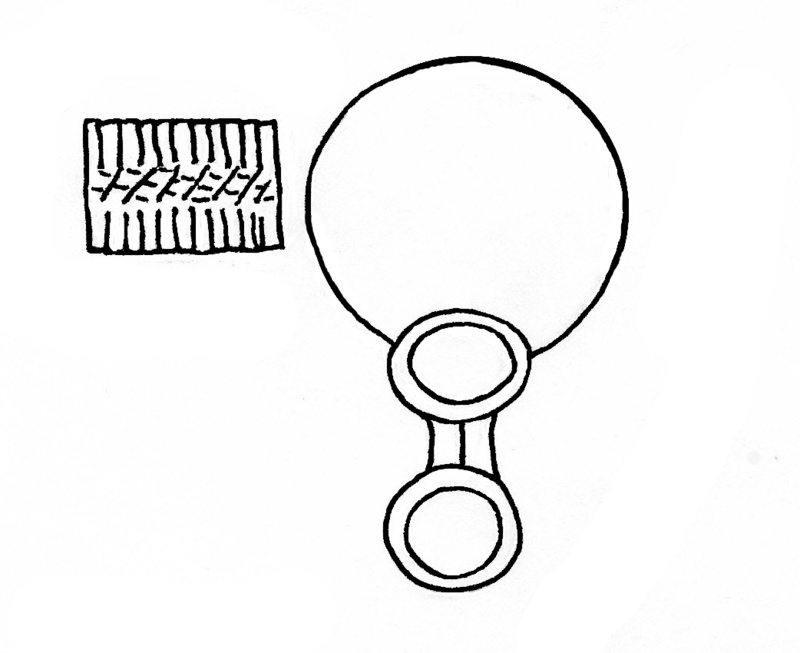 An example of a stone bearing a mirror and comb alongside a symbol pair can be found in the picture of the Aberlemno 1 stone (bottom right of stone). The most obvious place to start is the widely held notion that the mirror and comb somehow convey a feminine aspect to the interpretation of the symbols. According to previous theories on their function, if the two symbols represented someone’s name, then the mirror could indicate that the name was that of a female. Such an interpretation does not however explain the extra potential coding suggested by the addition of the comb symbol in a large number of cases. The ‘female hypothesis’ would of course be dependent on the Picts associating both these objects with femininity; an association for which we have no clear evidence. Why wouldn’t these objects also be an important item in male grooming? Mirrors would also have been relatively rare and therefore an item of status and it is just as likely that a mirror symbol conveys the notion of this status. The comb, however would seem to be a much more common item, and it is telling that it occurs only in the presence of the mirror. The mirrors depicted appear to be typical of early medieval mirrors, and similar examples of these can be seen in various museums in Scotland and further afield, although some of the specific mirror designs carved on Pictish stones have not been found by archaeologists. The mirrors found are clearly opulent objects, often richly decorated and would have been considered a very desirable accessory. The combs, which can consist of a single or double row of teeth, are much more common, and can be made out of materials such as wood, bone, or rare and more valuable materials such as ivory. Could these two symbols possibly fit with a calendrical, astronomical, or astrological interpretation of the Pictish stones? We could start with a relatively simple hypothesis; if the mirror is a symbol of value then its presence may tell the person viewing a particular stone that the astrological significance of the symbol pair it accompanies is higher than usual. Likewise, the addition of a comb could mean that the combination of symbols is of particular significance. This possibility might explain why mirrors are often associated with a rodded double disc, but there is no clear example of a mirror accompanying the simpler double disc without a rod. If we assume for the moment that a rodded version of a symbol had a higher status than its non-rodded counterpart, and if the mirror’s function was to convey the importance of the two symbols it accompanied, then a mirror and simple double disc occurring together would indeed be less likely. There is however a significant feature of mirrors that provides evidence that the Pictish symbols may be astrological in nature; the fact that mirrors have attached to them a considerable folklore connecting them to future events. This folklore is still very much extant and it is still a commonly held belief that breaking a mirror will bring seven years bad luck. If we ask ourselves why the breakage of a mirror would have such dire consequences for the future, the mundane answer would be that, going back in time, the mirror, at least one made of glass, was originally a very valuable and fragile object and of course in this sense it would be ‘unlucky’ to smash one. This doesn’t explain why you would then experience further bad luck for many years to come. If breaking a mirror is unlucky, is there an implication that the intact mirror is somehow lucky or even associated with the supernatural in some way, and if this was true why would this be the case? Did the mirror originally have some sort of supernatural role, perhaps in fortune telling, or in predicting the future? If it did, then the mirror’s presence amongst astrological signs would make perfect sense. The Latin word for mirror (speculum) has given us the verb ‘to speculate’; and originally speculation was scanning the sky and the related movement of the stars by means of a mirror. The Latin for star (sidus) has also given us the word ‘consideration’ which, etymologically, means to scan the stars as a whole. Both abstract nouns which now describe highly intellectual activities are rooted in the study of the stars reflected in mirrors. It follows, then, that mirrors, as reflecting surfaces, should be the basis of a wealth of symbolism relating to knowledge. The link between divination, the mirror, and importantly for us, the stars and planets, is therefore clearly stated. Similarly, in Jack Tresidder’s Dictionary of Symbols, the entry for ‘Mirror’ states the following, ‘Almost everywhere, mirrors have been linked with magic and especially with divination because they can reflect past or future events as well as present ones. Shamans in central Asia aimed mirrors at the Sun or Moon in order to read the future.’ Indeed the use of mirrors for divination appears to have been widespread, with according to The Penguin Dictionary of Symbols, ‘The use of the mirror is one of the oldest forms of divination and Varro says that it originated in Persia.’ It also quotes a story about Pythagoras using a mirror to read the future by pointing it at the night sky; ‘According to legend, Pythagoras had a magic mirror which he, like the Thessalian witches, would turn towards the Moon before reading the future in it.’ Furthermore the entry on mirrors in this dictionary goes on not only to reiterate the mirror’s use by Shamans in central Asia, but also to note that ‘shamanistic robes were often decorated with mirrors’. This practise should also remind us of the stereotypical image of the ‘gypsy’ fortune-teller, whose attire was decorated with small reflective discs. Even in Scotland, it would appear that mirror divination may well have survived the centuries and was strongly associated with Hallowe’en. In The Book of Hallowe’en published in 1919, Ruth Edna Kelley describes the custom of young women who would look into moonlit mirrors on 31 October in order to see their future lovers or husbands. There is also strong evidence of similar customs having been common in the USA, and indeed Hallowe’en cards from the first half of the twentieth century in America show this very practice. So it would seem that in different times and different places the mirror has been fundamentally associated with divination, and particularly sky divination. There is also unambiguous evidence of the mirror symbolising supernatural knowledge. It is therefore possible that thee Pictish mirror symbol is a divinatory symbol allied perhaps to astrology, fitting perfectly well with other astrological symbols. This would explain elegantly why this seemingly mundane object should be found carved beside the almost otherworldly Pictish symbols. The possibility that the mirrors depicted on Pictish stones have an astrological context would also seem to be reasonable in the context of other Eurasian cultures. We should therefore consider the idea of the reflection in the mirror being not simply photons bouncing off the silver layer behind the glass back to our modern eyes, but perhaps as our ancestors saw it, as a glimpse into another place. Water also has reflective properties, and it is interesting that the Celts cast offerings into lakes and springs, perhaps passing these precious objects through the reflective surface into the ‘otherworld’. The mirror may therefore have been almost a kind of portable reflective substitute for water, allowing a druid or priest to peer in to this alternative spiritual world at anytime, now replaced by the fortune-teller’s almost stereotypical ‘crystal ball’. Combs have been around for an exceedingly long time, and have a dual function as both a tool to untangle hair and also to remove parasites. In European folk traditions they also appear as magical objects, for example as an essential accessory for mermaids; the creature often depicted combing her hair in a hand mirror. The mermaid’s comb is frequently described as golden and provides any human who manages to acquire the object with the ability to control the creature; a recurring theme in Scottish tales of mermaids. In Hans Christian Andersen’s The Snow Queen, a golden comb when pulled through the victims’ hair makes them forget. In a tale collected by the Grimm brothers, The Nix of the Mill Pond, a golden comb is used by a wife to summon her husband from the mill-pond, where he had been taken by a beautiful woman who lived in the water. Perhaps this is really about summoning her husband back from the spirit world, through the reflective surface of the mill pond, the comb being used to control the will of spirits to do a mortal woman’s bidding. In Ireland, banshees, female spirits whose appearance signals a forthcoming death, also possess combs, although these are silver rather than gold. Combs and the act of combing therefore seem to be associated with females from the otherworld and possess magical qualities relating to control of their supernatural owners or victims, or perhaps to signal a supernatural prophesy. If we regard the mirror as providing a portal into the otherworld, with the reflection literally symbolising a window into that world, and the comb or the act of combing as part of the process of divination, then the purpose of these two symbols becomes clearer: the mermaid or banshee is divining the future, perhaps foretelling a specific event using the tools of her trade, passing that message from the otherworld to our own. In the context of the Pictish symbols, the comb might therefore represent some or all of these elements; contact with the otherworld, a feminine aspect, and/or a symbol of control over the spirits, or perhaps a symbol of prophecy. Previous authors have suggested that the mirror and comb, in the context of the Pictish stones, might be marriage symbols, and given the above, it is possible that the comb may well represent a symbol of marriage. Alternatively, and more likely, it might represent control over the otherworld, and relate to death and the passage of the spirit, or suggest that the message conveyed by the symbols originates in the otherworld. The significance of the mermaid’s comb being made of gold, and that of the banshee being made of silver, might also evoke solar and lunar symbolism respectively, but unfortunately in the context of Pictish carvings of combs, there is no way of knowing what material they were supposed to be made of. In Welsh mythology, the story of Culhwch and Olwen features a golden comb; it is one of the objects demanded by Ysbaddaden the Giant and is eventually retrieved from behind the ears of the Boar King , the Twrch Trwyth. If this particular character has celestial origins, as suggested, then it is possible that the comb, and also the razor and scissors for that matter, are also connected to objects in the night sky, or at the very least seen as items linked to the otherworld. THE MYSTERY OF THE COMB – It would be curious to know what mystic meaning our forefathers attached to so simple an act as combing the hair. Yet we learn from old church history that the hair of the priest or Bishop was thus combed several times during divine service by one of the inferior clergy. The comb is mentioned as one of the essentials for use during a high mass when sung by a Bishop, and both in English and foreign cathedrals they were reckoned among the costly possessions of the church. Some were made of ivory. Some were carved, others gemmed with precious stones. Among the combs specially known to history are those of St. Neot, St. Dunstan, and Malachias. That of St. Thomas the Martyr of Canterbury is still to be seen in the Church of the Sepulchre at Thetford, and that of St. Cuthbert at Durham Cathedral. From sundry references in old legends to the use of the comb in divination, and from its appearance in combination with pagan emblems on rudely sculptured stones in various parts of Scotland, it seems probable that this was one of the objects of pagan veneration which early Christian teachers deemed to be prudent to adopt, investing it with some new significance. Apart from the reference to the comb’s use in divination in ‘old legends’ and therefore possible further evidence for an astrological role, the principal insight into the importance of the use of combs in early Christian religious ceremonies is fascinating. Indeed many ornate ceremonial or liturgical combs have been identified as associated with bishops or saints, including that of the founder and patron saint of the city of Glasgow, St. Kentigern, and it would appear that the comb was one of the few possessions owned by senior members of the clergy. In some cases, the comb has a small hole, suggesting that they may have been worn around the neck or attached to vestments. Combs are apparently still an important feature of the consecration of bishops as laid out by the Catholic Church. So why are combs used at all in a religious context, and how did they come to be adopted not just in any ceremony but in ‘high’ masses? The combing of the bishop’s hair at key points may indicate some sort of purification. Purifying the bishop’s hair by combing it may have been thought to bring the bishop closer to God, and if the author of the extract from 1888 was correct, then pagan priests or druids may have also used the comb for a similar purpose; presumably purifying themselves for communication perhaps not with ‘god’ but rather with the spirit world. This scenario would also neatly explain the purpose of the comb in the hand of the mermaid; in this case the mermaid is not only able via a reflection in her mirror to see into the spirit world, but also by using the comb is facilitating communication between our world and that of the spirits. If the comb really does have a role in helping an individual to get closer to the divine or to the spirits, then the depiction of the mirror and comb on Pictish stones could well be communicating this function to us. The presence of the mirror alone would lend some spiritual weight to the importance of the event commemorated on a stone, but the presence of both symbols clearly is something special. If the comb came to be closely associated with the early Christian clergy in Britain, then it is possible that it was already associated with pagan priestly orders, including perhaps the druids. As it seems to be particularly associated with bishops then likewise the comb may have been associated with a druidic elite; the arch druids. The symbols of the ‘Mirror and Comb’ may therefore in the pre-Christian era be the mark of a high ranking druid, later adopted in the early Christian era as the mark of a bishop or saint, who would also presumably want to emphasise their superiority. As the design of the ‘Mirror and Comb’ varies from stone to stone, they may even represent depictions of real liturgical combs and mirrors possessed by particular individuals. If this was the case then it may be possible in the future, although the chances are slim, to match combs found buried with senior clergymen in Pictland to stone representations of specific combs or to date stones with the same designs to the same time period. Finally, there may also be evidence of further sets of ‘qualifiers’, other than the ‘Mirror and Comb’ on stones in Pictland. On the Abernethy stone (picture 6) what appear to be a hammer and a possible anvil appear on the stone. Blacksmith’s tools and the ability of the blacksmith to work with iron have long been linked to the supernatural and luck and is best manifested in the folklore surrounding horseshoes. At Gretna Green in southern Scotland, the blacksmith’s tools are still used to symbolically marry couples. Orkneyjar – Who were the Picts? Powered by WebRing. This site is a member of WebRing. To browse visit Here.